EAU DE PARFUM by BOTTEGA VENETA is sophisticated fragrance for a Woman with style, with her own charisma, with character and individuality. Very classy, very stylish Perfume. 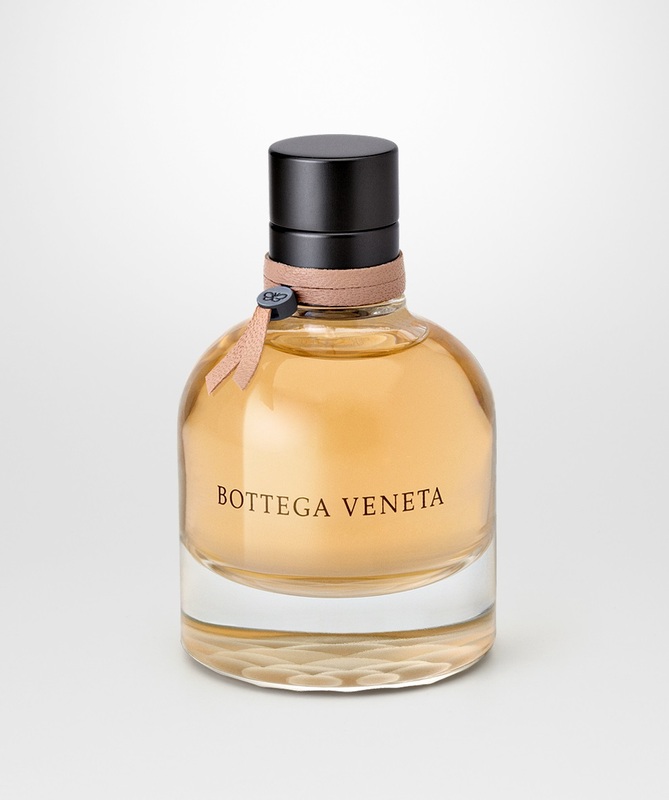 Tomas Maier, the creative force behind Bottega Veneta, conceived of Bottega Veneta’s first fragrance as a dream of the Venetian countryside. In this vision, suffused with warmth, sunshine, and the gentle sound of cicadas, sits an elegant and austere old villa. The interior is illuminated with shafts of sunlight, the wooden floors gently worn beneath faded frescoes. There’s a library lined with leather-bound books, its windows thrown open to capture a summer breeze redolent of hay, earth, forest, and flowers. This vision is a balance of nature and art, a synthesis of raw sensuality and subtle intellect that lingers in the mind like a memory." 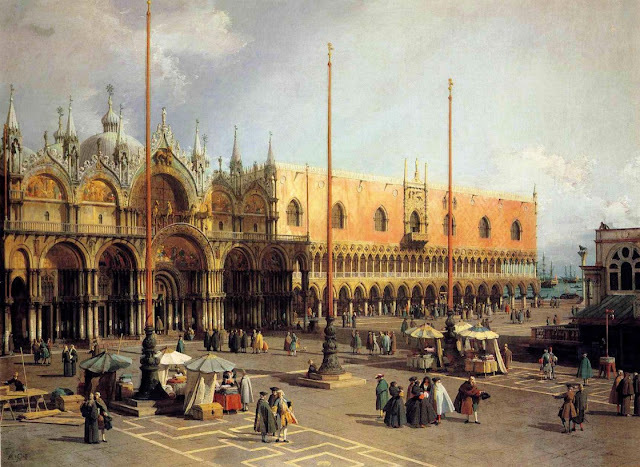 "View Of The Church And The Doge S Palace From The Procuratie Vecchie"
EAU DE PARFUM is the only one fragrance - in my opinion, which has very well captured and shown this leather tone in a fragrance. 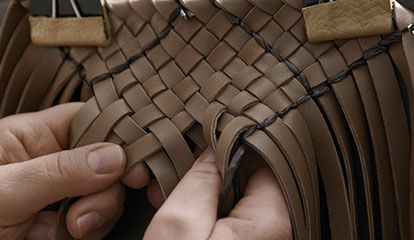 Real, actual leather, slightly founded by delicate and very pleasant Rose (shining among the flower tones), accompanied by spices (Venice is the End of the Silk Road) and other exotic goods. It represents highly accurately, the vision of the creator Tomas Maier - his conception about, how the Venetian countryside looks like, with its all Nature's smells, lights, colors - taste, smell, touches - all these details, which are leaving memories, gathered under very vivid impressions and feelings. 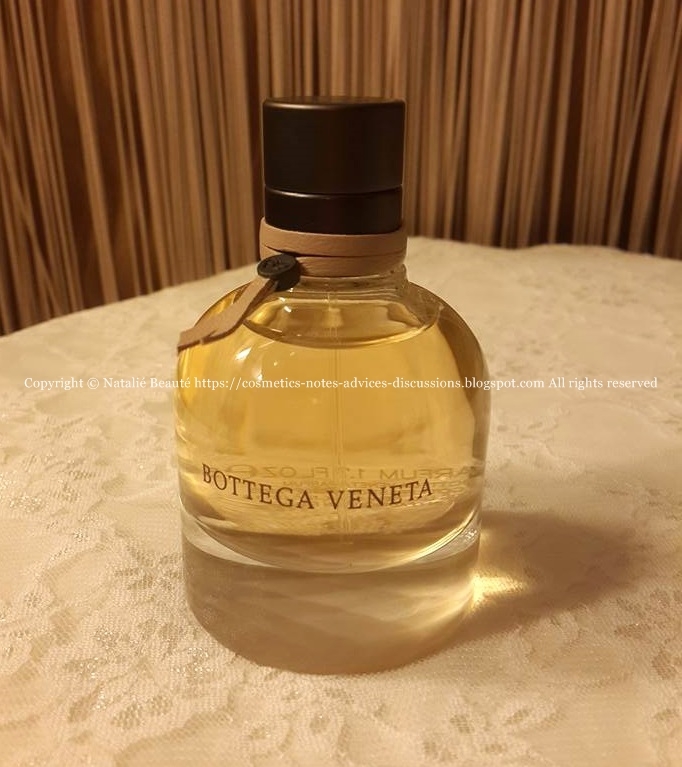 The brand describes the perfume as "leathery floral chypre". and the "backbone of the fragrance - chypre". Its composition includes impressions for Fresh Meadows, Mown hay, Flowers, Earth, Wood, Leather. 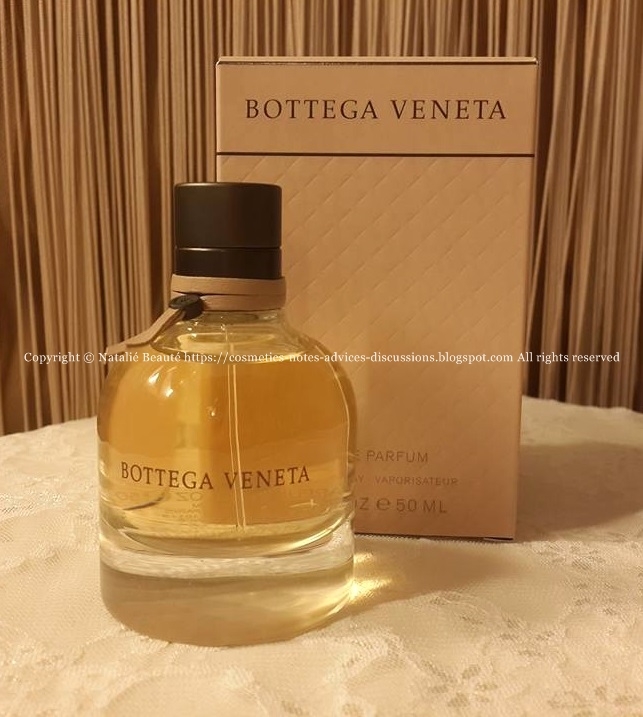 With the first splash, you immediately get impression for bitter taste and scent of a leather, in combination of all notes, mentioned above, but especially dominant - Bergamot, Wood, Pink Peppercorn, Patchouli, Jasmine (increase-decrease order - the way, I feel the notes). 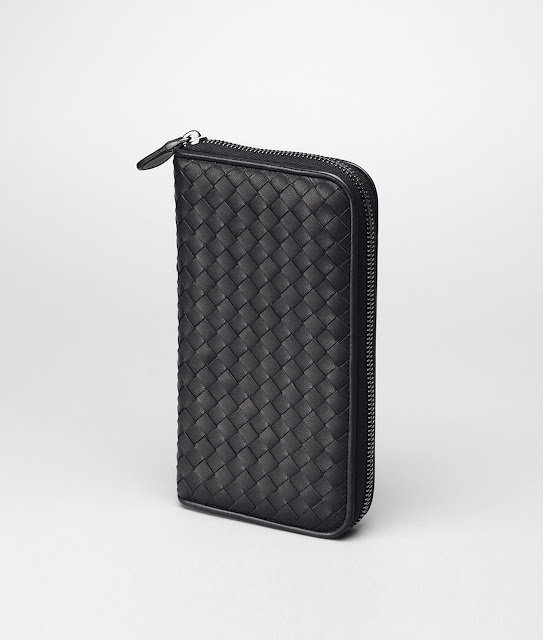 Little bit later, when the perfume settles down, this leather note gets also sweet shade. 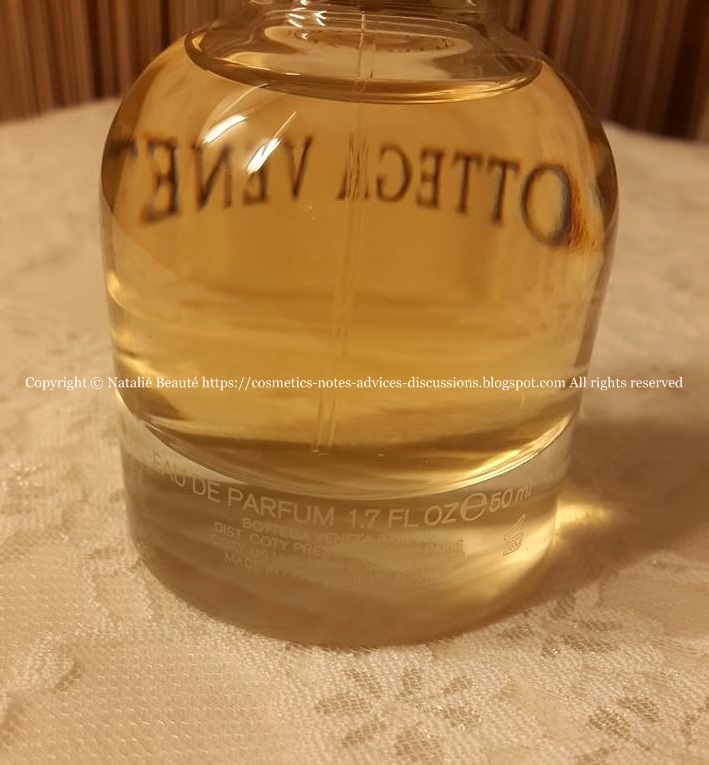 During the time of wearing this perfume, are mainly detectable - Leather, Wood, Sweet. 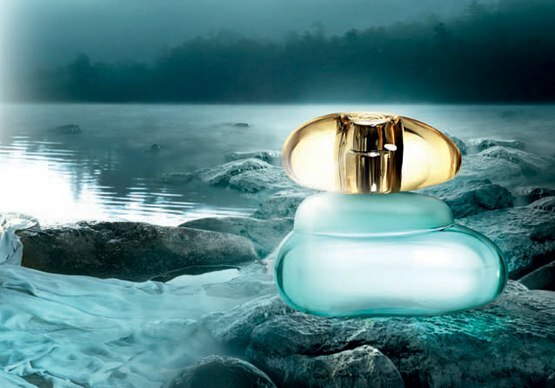 The perfume changes on the skin, it plays - according to the environmental conditions, the individual body chemistry. Also - on the clothes and the hair, the scent stays longer and more intense (as usually happens with the perfumes). 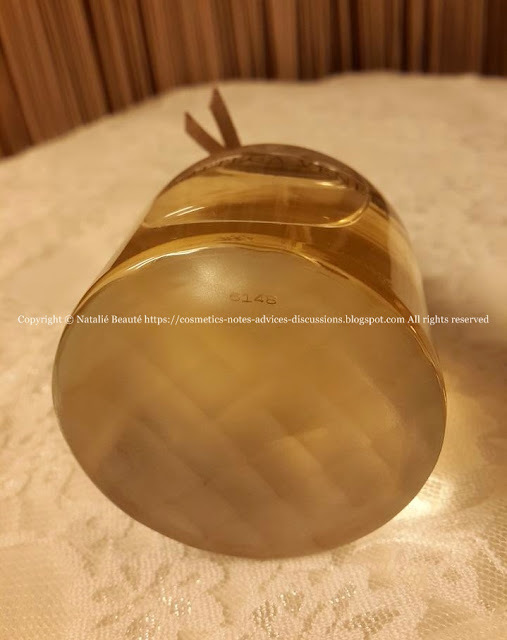 Sprayed directly on the skin, the perfume appears as warm, deep, sensual cloth, which stays close to the skin, but in many moments, the people around feel it as very pleasant trail after you or aura, around you. Applied from sprayed cloud (you spray in the air and go through it) - doesn't appear so intense and vivid, but it's great way to perfume yourself, without to ruin your hair and clothes quality. EAU DE PARFUM is like small album of this world and all its characteristics, captured in that lovely bottle - beautiful time capsule. 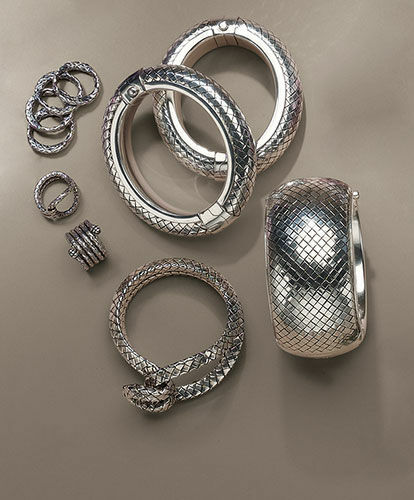 "Combining soft, rounded curves and powerful shapes, a smooth outside and an intrecciato texture on the bottom, the Bottega Veneta bottle is an object that reveals its complexity only over time. 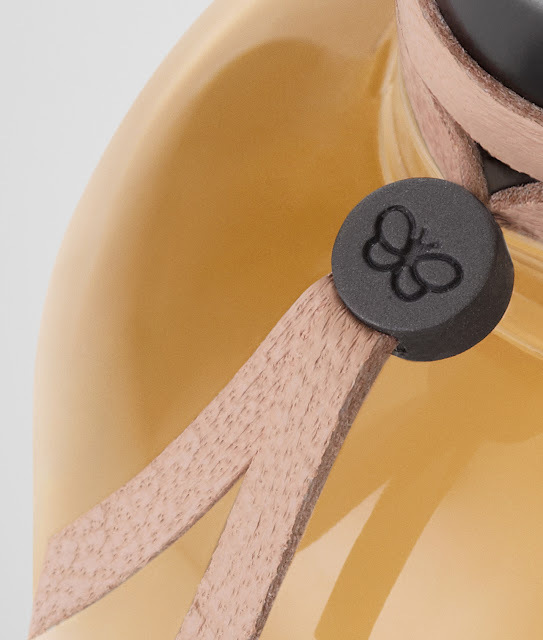 The colors are signature Bottega Veneta: a brunito cap and collar, an ebano logo and a skin colored leather ribbon clipped with a brunito butterfly." "The bottle itself, inspired by Venetian glasswork and the traditional Italian carafe, designed with an eye for timeless lines and resonant juxtapositions, is in every way a vessel of harmonious simplicity and perfectly balanced contradictions." A MASTERY THAT STEMS FROM YEARS OF TRAINING AND TRADITION. 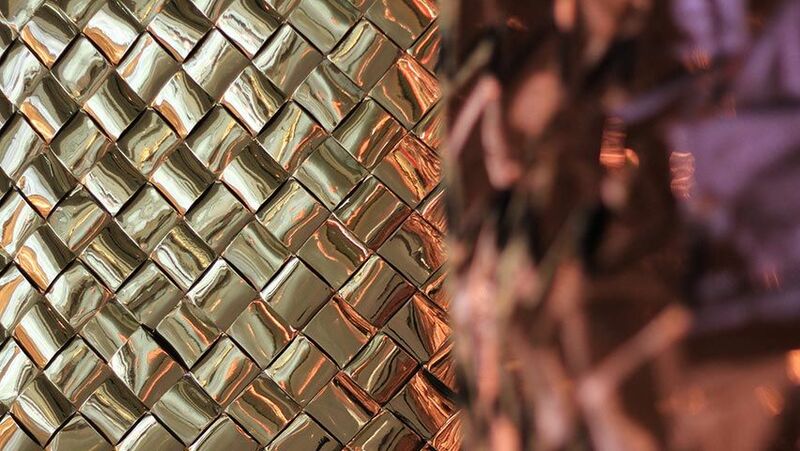 A PENCHANT FOR INTRICATE DETAILS THAT MAKE A WORLD OF DIFFERENCE. 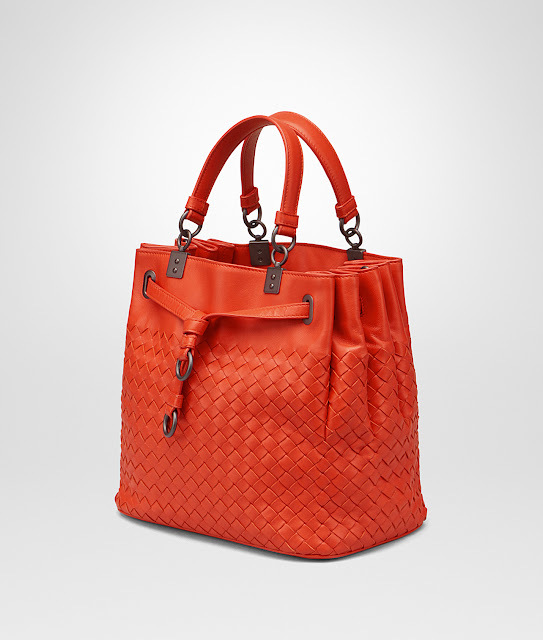 The sole signature of Bottega Veneta is its distinctive leather weave design, the Intrecciato. Developed at the very start of Bottega Veneta's evolution, it continues to serve as the most recognizable brand element, allowing for adaptation and reinterpretation in various colors, leathers and exotic skins. The result is always the same - an unmistakable expression of the house. 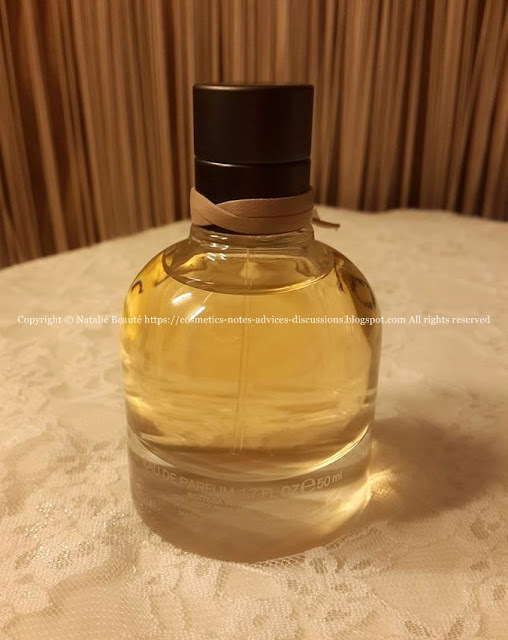 Compared with many other leather fragrances, EAU DE PARFUM 's leather note, gives impression of genuine leather note and in the same moment, in combination with the other ingredients, the perfume appears warm, sensual, comforting, embracing you in intimate and confident hug. 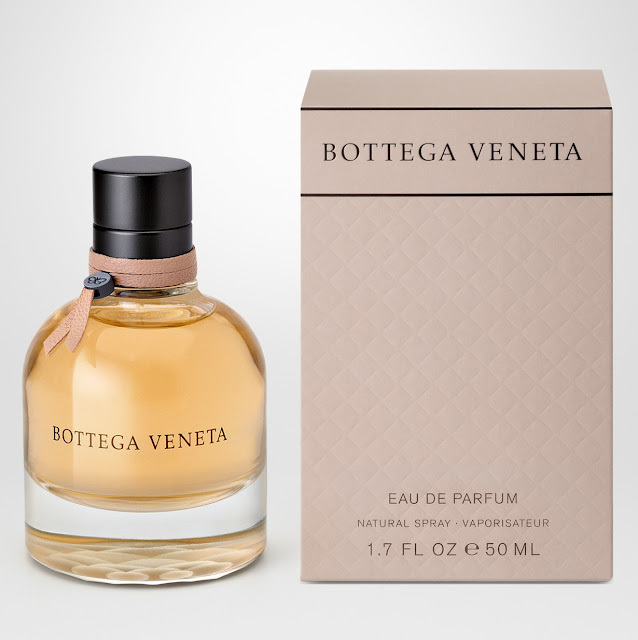 EAU DE PARFUM by BOTTEGA VENETA is really very different. 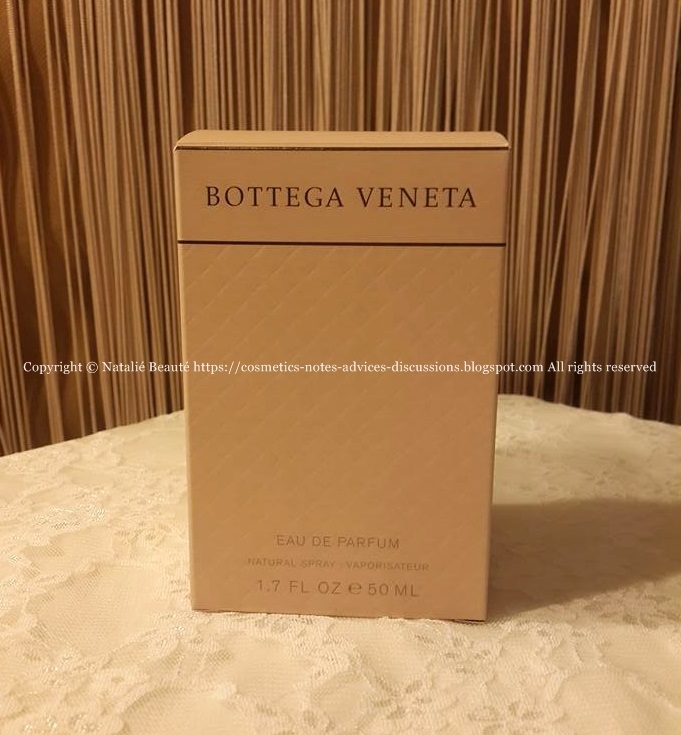 The perfume comes in paper box - with relief walls, which relief represents the signature pattern of BOTTEGA VENETA house. The box is sealed with nylon. The bottle is made from massive transparent non-colored glass, designed in clear shape. On the bottom the glass is matte and sculptured with the same pattern. On it, you can see engraved the last 4 digits of the batch code, which you can also find on the bottom of the paper box. 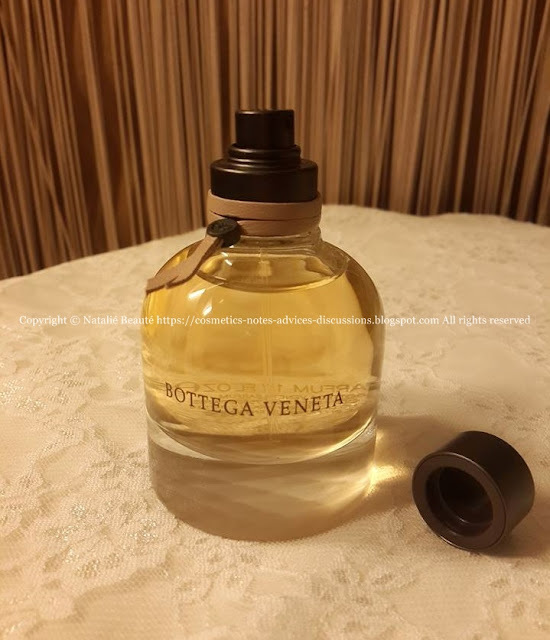 On the neck of the bottle - under the cap, there is a genuine leather bant, in light beige color, locked with brunito butterfly (another signature element for BOTTEGA VENETA). The name of the brand is written on the front side of the bottle. On the back side are engraved the name of the perfume and other details. The perfume comes in 4 different variants - 30 ml, 50 ml, 75 ml and Refill bottle. 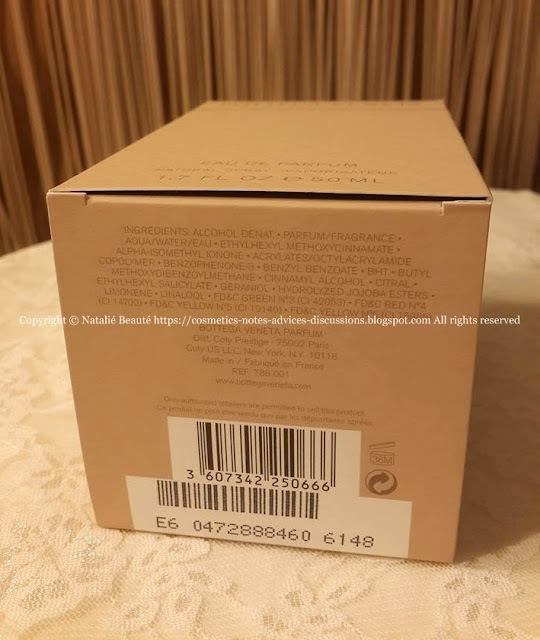 The images are representing bottle 50 ml. Amazing scent, not for every day, not for everybody, but for special moments and for special Women. It could be more suitable to wear this perfume with leather clothes or at least, to have some leather elements in your appearance. I wouldn't put this treasure in specific age group - it is suitable for every woman, who has the suitable mind, sentiment, mood, self estimation, maturity, depth of the character, mentality, intellect, uniqueness in her own personality. 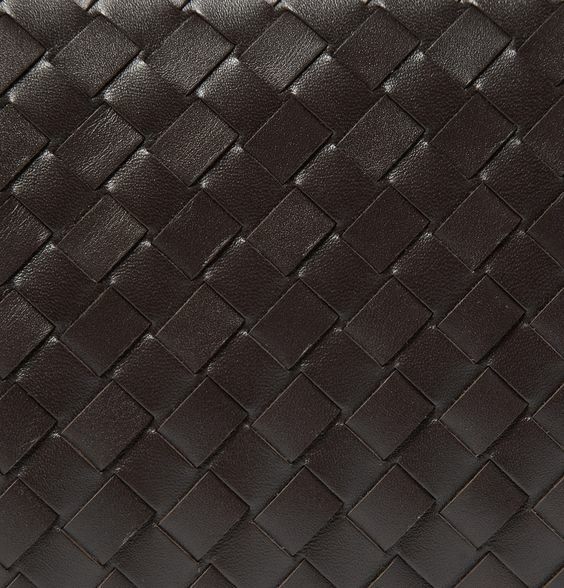 Gorgeous and specific leather fragrance - highly classy and stylish. 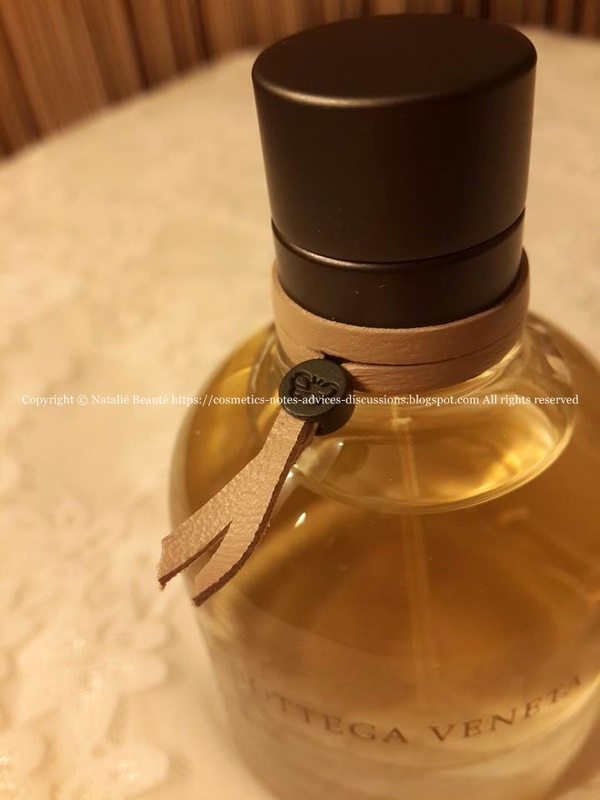 If you don't have some previous experience with leather fragrances or you want to have one (maybe this one is engaging your thoughts), but you are not sure, I advice you - TEST, before you buy!